As well as uniformed guards in the retail environment used primarily as a deterrent to would-be thieves, we also provide store detectives who are plain clothed guards. The main difference and primary function of store detectives is to arrest rather than deter. With over 25 years of experience in the retail sector Sharp Edge Security is uniquely able to deliver a range of high quality retail security services & guard services throughout Ireland. Our expertise is uniquely tailored to the Shopping Centre and Retail Sector in Ireland. We have a large network of guards in cities and towns throughout Ireland. 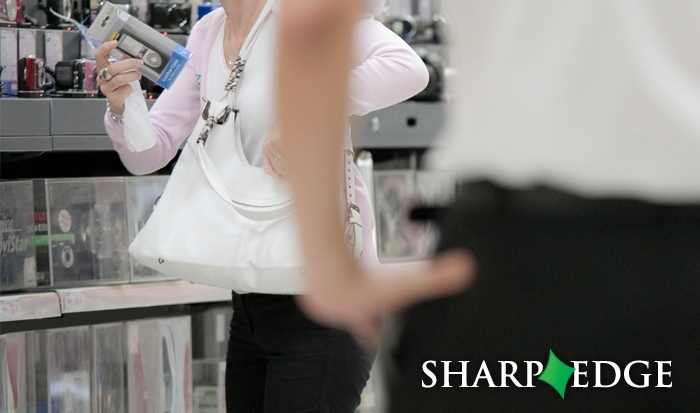 Our Retail security system allows all guards to be in radio contact with stores in the direct area and offers a vastly improved service with first hand knowledge of targeted shoplifting.